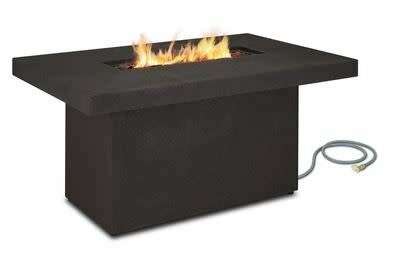 The modern style and design of the Ventura Rectangle Chat Height Propane Table will compliment any outdoor living space. 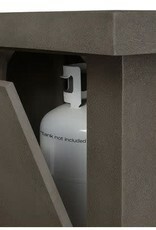 Constructed of fibre-cast concrete, the Ventura conveniently hides the propane tank from view in the base. 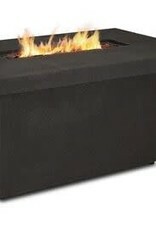 The Ventura operates at a maximum of 50,000 BTUs, offering warmth and a beautiful ambience. 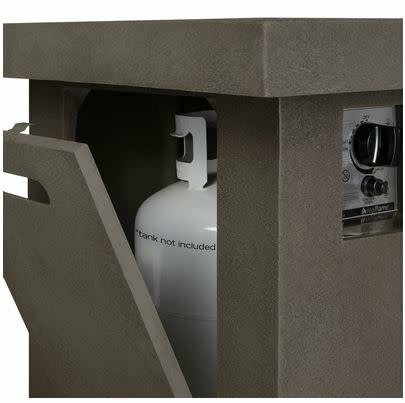 Features include a tabletop lid to hide the burner when not in use, push-button ignition, levelling feet, lava rock filler, protective cover and Natural Gas conversion kit.